However, the men are in trouble - they owe a favour to a very dangerous man and he intends to collect. As Sonne and Victoria's flirtation becomes something deeper, he convinces her to come along for the ride. As the night rolls on, what started out as a good time, quickly spirals out of control. Victoria was shot in one continuous, uninterrupted take in the early hours one Berlin morning in April, 2004. German director, Sebastian Schipper gathered his small cast and crew, started shooting his movie around 4.30am and finished filming at approximately 7am. The idea behind Victoria came to Schipper in a daydream. While working on the film’s script, the director wondered why cinematic bank heists felt tired and boring. He began to consider new ways to add more tension and place his audience in the middle of the action. Thus the uninterrupted take concept was born. Of course, this is not the first time that a single shot film has been attempted. However, Victoria is still an amazing achievement. Schipper certainly doesn't play it safe - his two hour film is a whirl of non-stop, propulsive action. Understandable, then, that the film’s solo cameraman, Sturla Brandth Grovlen, is given top billing in the end credits. Watching Victoria, I couldn’t help but marvel at the cast’s stamina. It must have been exhausting. Full credit to the movie's small group of actors - they all give powerful and convincing performances. While I am aware that mistakes were made, I didn’t notice them. Victoria created quite the buzz when it was released. Then concerns began to rise. Was this film a gimmick? A case of technical style over substance? 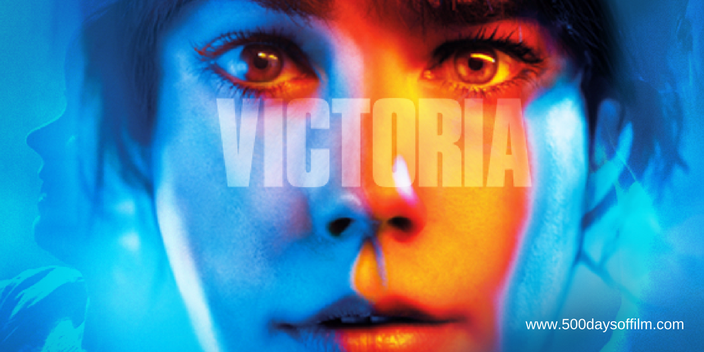 However, Victoria is not just a cinematic experiment. This is a film with a powerful story - one that makes you forget about its single shot concept for long periods at a time. Indeed, it is not the technicalities that linger after the credits have rolled, it is Victoria’s exhilarating atmosphere and heartbreaking romance. Victoria’s techno soundtrack was composer by Nils Frahm. Victoria won the Berlin Silver Bear Award for Outstanding Artistic Achievement. Have you seen Victoria? If you have, what did you think of this movie? Let me know in the comments section below!